For them to actually run out of fuel in their vehicles, to scrounge for any type of food, to pray for a little rain so they could drink water felt like such a realistic experience for a post-apocalyptic world. I’ve been so used to them having full tanks for their cars or enough to eat in whatever location they’ve been in (just think of Hershel’s farm) that it was a good change of pace. And as tough as it was to watch them eat the dogs, it really captured what the group had to do to survive. Though, I’m pretty sure they are still miles away from feeling forced to eat other humans… we hope. I even enjoyed the scene where it finally started to rain, a simple relief for most of the group, and perhaps a sign that there was still some hope. At the same time, as weary and worn as the group was, it was good to see there was still some sense of tactics in their movements or decisions about taking out walkers. 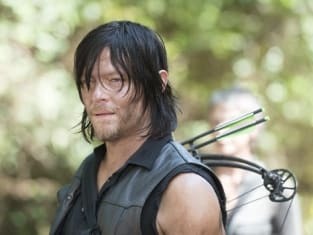 But we also finally got to see some mourning from the characters as well, especially Daryl, Maggie and Sasha. Daryl’s always been sort of that hard badass, but to see him break off from the group and let his feelings out was something he needed to do. His grief certainly isn’t gone, but we got a short glimpse into his emotions. Sasha seemed far more angry, even breaking ranks to get at her foes. Though that kind of stupidity from characters drives me nuts, so at least Michonne was there to let her know. And as much as the show failed to illustrate that Maggie really cared about missing Beth earlier in The Walking Dead Season 5, I did like seeing her dealing with her sadness and anger and frustration at Beth’s death. It’s good to see the characters feeling something when they lose a member of the group, no matter how hardened they’ve become. And it was certainly a good thing that there was still some semblance of fighting on from the group and not giving up. I guess that banding together to hold the door against the walkers was supposed to show that, but I still have no clue how that many were attracted to the barn during the storm. Of course, the appearance of the new and clean-looking character Aaron claiming to be a friend was the right way to imply the season is about to head into some new and hopefully exciting territory. Just what is his deal? Is he really a friend? 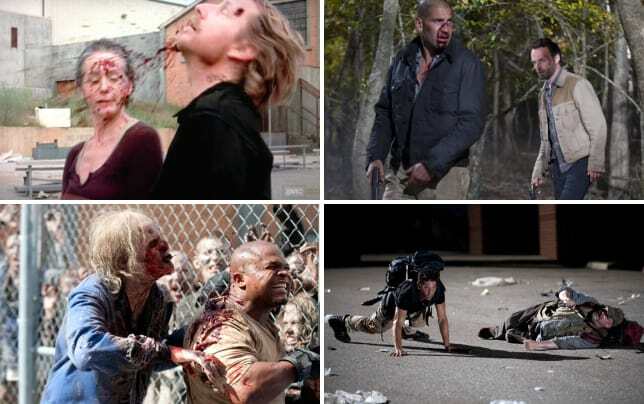 Or will he wind up being just another version of a person from Woodbury or Terminus? It would be nice to see something brand new come at the survivors, and I’m optimistic bringing in Aaron will be just the trick. Though you could have definitely skipped this hour and not missed really anything with the story, I did appreciate seeing a bit of the struggle going on within the group. But it’s definitely time to pick up the pace again and really kick into a story that will hopefully drive the rest of the season. Let's end this one strong. What did you think of the episode? Should the survivors trust Aaron? Sound off below, and see the group's journey when you watch The Walking Dead online. 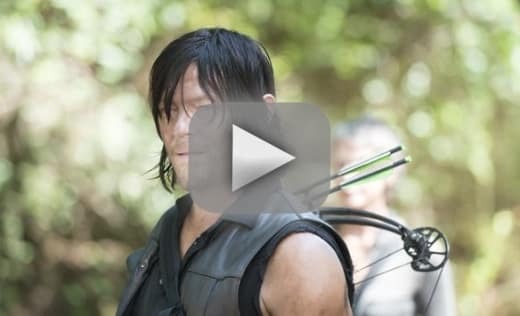 The Walking Dead Review: They've Got a Friend?